Dulwich Park’s opening hours are set by Southwark Council and vary according to the time of year. The park opens at 8am and closes at sunset – during the winter it’s 4.30pm and at the height of summer it’s 9:30pm. Details of opening and closing times can be found here, and are shown on all the park gates and noticeboards. Francis Peek Community Centre is where the park manager’s office is and many children’s and adult classes are held. The hall may be hired and all bookings and availability enquries are handled by Quadron Services who can be contacted on 0207 708 5464 from 8.30am to 3.30pm from Monday to Friday. Whippersnappers at College Lodge is open for classes, workshops and parties. London Recumbents hires bicycles for families, children and people with special needs. Park Boats London offers children and family-sized pedalos and traditional rowing boats on weekends, bank holidays and school holidays (weather permitting) from April-October. Tennis courts – free of charge. Outdoor gym – free for public use. Outdoor table tennis – 4 tables available in the play area (there are limited bats and balls available in the cafe, and you are free to bring your own). Bowling green run by the bowls club – email Terry Bonnett for membership enquiries or Clifford Bell for fixtures. Dulwich Vegetable Garden community gardening project can be found at the back of Rosebery Lodge near Rosebery Gate. It is open on Wednesdays and Sundays from 10:30-12:30. Maps showing the locations of these facilities are on all the park noticeboards. Toilets are located by the main car park and in the Francis Peek building and the middle of the park behind the café. Several organisations run outdoor fitness classes in the park, and are licenced by Southwark Council. 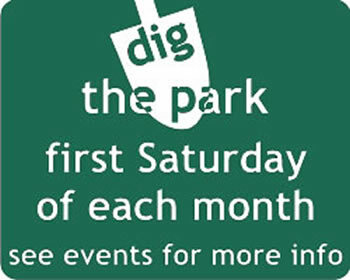 For details see the information boards in the foyer of the Francis Peek Centre or contact the park manager’s office. Unfortunately the Council is not installing any new Memorial Benches at present, unless it is to replace an old bench that is beyond repair, or a new location is identified that requires a bench. This is a Borough-wide policy. In the meantime, your details can be added to a database so you can be contacted if a position becomes available. Please contact Will Walpole, Dulwich Park Manager, Francis Peek Centre, for further information.